Size: 2953 sq.ft. - 3842 sq.ft. 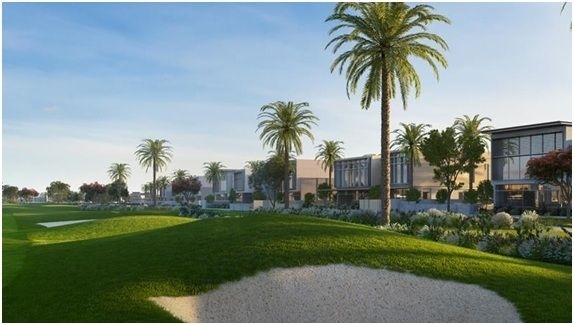 Golf links project has recently announced villa community by Emaar Properties, was launched in 2017. This complementary villa community is to be designed on a championship golf course.There are more than 75K residences in Emaar South. Emaar South is a great mixture or collection of Tiered Townhouses, Large size Villas and Apartments. 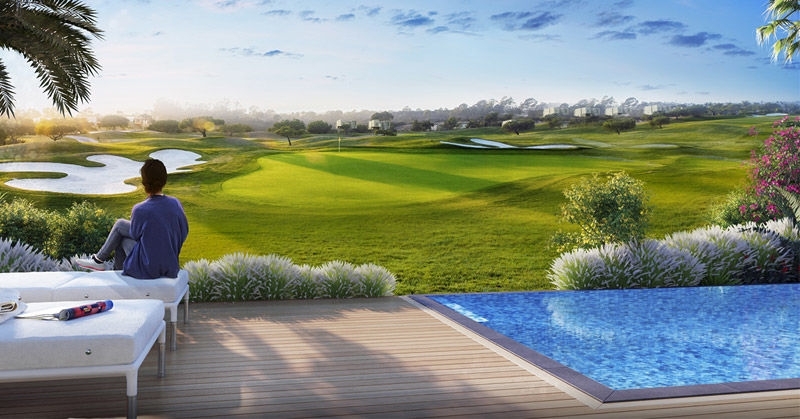 Emaar Golf Links is described as a smart addition to the community. 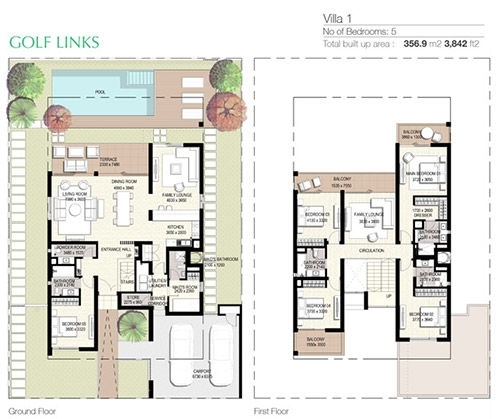 It is a modern community featuring 4 and 5 bedroom independent villas. The Golf Links work is estimated the completion date of May 2020. 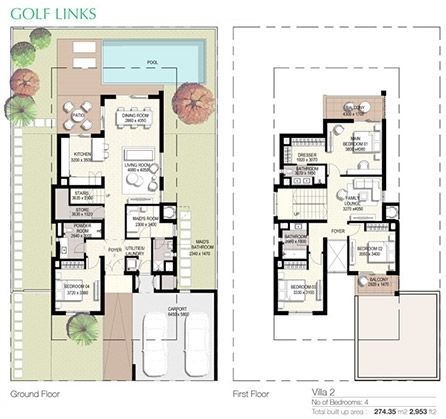 Golf Links features 191 villas 62 five bedroom villas and 133 four bedroom villas. 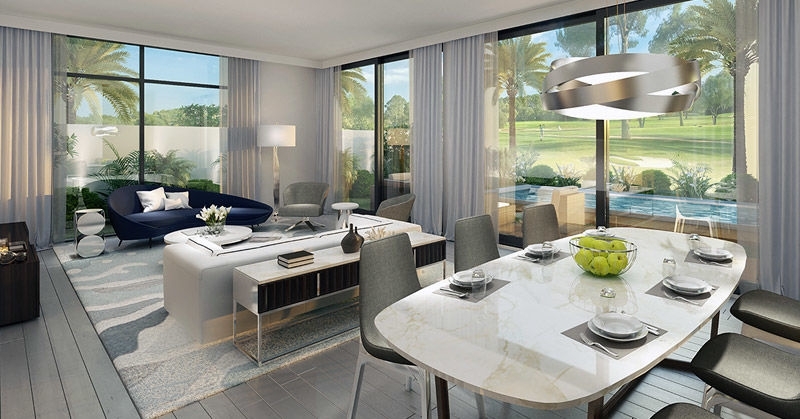 The five bedroom villas will enjoy the views of the golf course.All villas have private yards and garden areas and the provision for swimming pools.Golf Links is the first villa community in Emaar South that offers four and five bedroom villas. 4 Bedroom villas will have a built up area of approx. 2,953 sq. 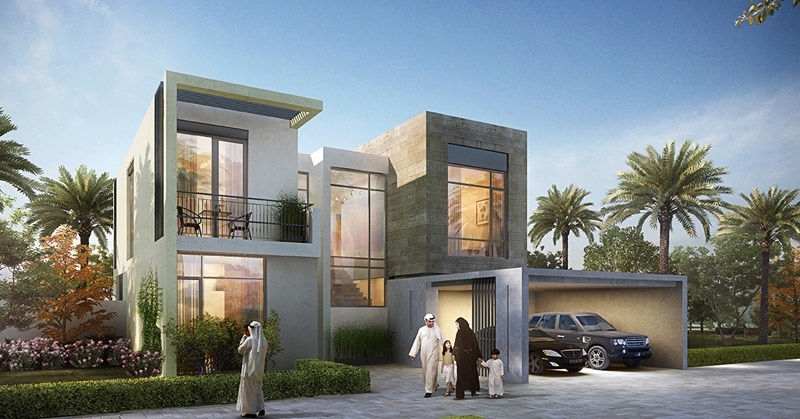 ft. which priced at AED 2.4 million – AED 2.5 million.5 Bedroom villas will have a built up area of 3,842 sq. ft. and the rate starts from AED 3.9 million and goes upto AED 4.1 million. 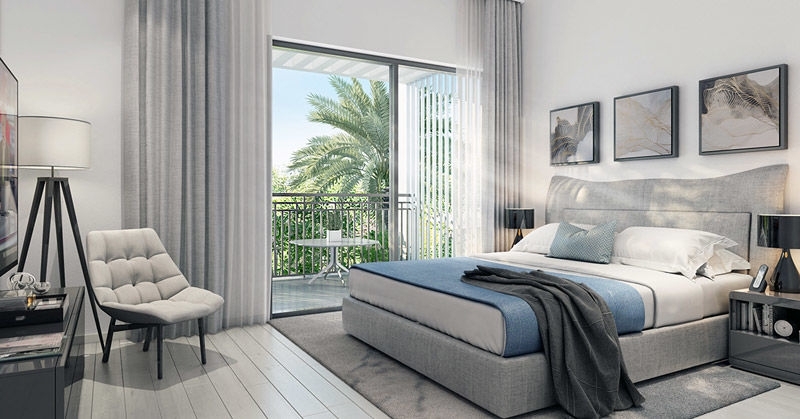 4 Bedroom villas featuring living and dining areas, open-kitchen with built-in cabinets, breakfast counter, walk-in wardrobe cabinets in the master-bedroom and built-in wardrobe cabinets in all others. The residences will also have covered parking for two vehicles. The five-bedroom villas are fully acquainted with high standard structure family lounge areas in the ground and first floor while a powder room, house-help room and storage. Emaar Properties is a well-known master developer amongst other developers. Emaar group was established in the year 1997. The company has proven themselves in various competencies like residential, hospitality, leisure and retail. Here are just some of the most iconic Master Developments by Emaar in Dubai: Downtown Dubai, Dubai Hills Estate, Dubai Creek Harbour, The Opera District, Emaar South, Arabian Ranches, Dubai Marina, The Greens. Being the group that built the world’s tallest tower Burj Khalifa, Emaar has gained popularity not only in the United Arab Emirates (UAE) but also in different parts of the world. The developer is also known for its high quality residences and office spaces located in its key master developments. The development is nearby Dubai metro link and is conveniently located close to the Al Maktoum international airport.Emaar South is located within Emirates flagship urban project, Dubai South is a 145-square kilometre smart city that is all set to become a sucessful hub in the global economy. The options of retail, dining and entertainment at your doorstep verything is within easy reach at Emaar South. It will be interconnected through tree-lined boulevards, walking & bicycle trails. 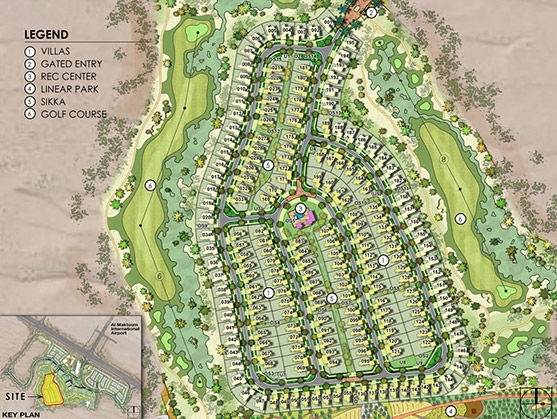 Golf Links lies over 200-acre championship Golf Course in Emaar South, Dubai, UAE. Central air conditioning, Central heating, Community View, Covered parking, Fully fitted kitchen, Cycling tracks, Fitness Centre, Gymnasium, Intercom, Jacuzzi, Kitchen white goods, Marble floors, Professionally landscaped garden, Balcony, BBQ area, Built in wardrobes, Shared swimming pool, Golf club and clubhouse, Laundry Service, Metro station, Restaurants, View of golf course, 24 hours Maintenance, Business Centre,Communal gardens.